There has been a lot of online chatter about Facebook’s two recent big buyouts of minnow companies; a whopping $19 billion for WhatsApp and a further $2 billion for Oculus Rift. The first has millions of users and the second is the latest must have gadget for gaming that hasn’t even hit the streets yet – virtual reality goggles. And it was only last year Facebook spent $1 billion on buying Instagram. One can’t help smiling for the bought out folk; many of whom will have or will become millionaires, thanks to Mark Zuckerberg’s latest spree. It would not surprise me if every geeky school kid’s dream now is to be part of a promising start-up that Facebook then acquires for billions. A bit like when every aspiring artist in the 90s hoped that Charles Saatchi would drop by their end of year art college show and buy up all of their work for lots of money. But there must be more that Facebook intends to do with its recently procured ‘billions bounty’ than swallow up bright sparks. Getting the very best people doesn’t cost that much. After all, we can attract some of the best PhD students and professors at UCL for a fraction of a fraction of a fraction of that. They are onto something bigger and more daring. Mark is moving into the world of UX, “we feel we’re in a position where we can start focusing on what platforms will come next to enable even more useful, entertaining and personal experiences.” He is gearing up for the next big thing – post social media. Instead of looking down at a mobile 2D screen we will be interacting with our friends in the here and now through 3D goggles. It will be an intense immersion that gamers all dream of. Moreover, it will be able to overlay the virtual and physical environments to appear seamless, where digital avatars and objects will populate a world of real people and objects. 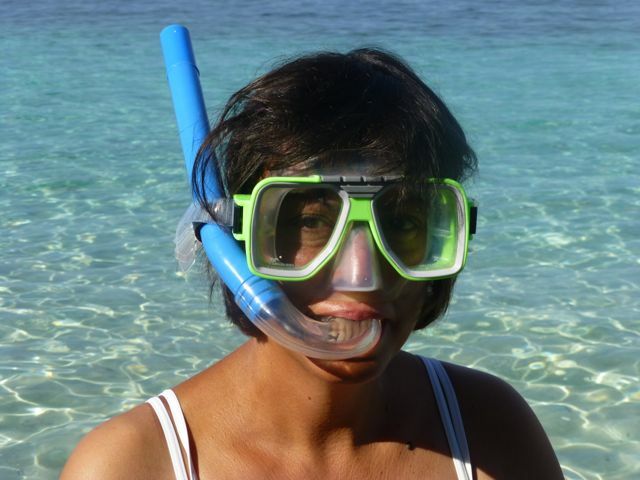 If we suspend our disbelief we will find it difficult to know what is actual and what is digital. While many companies and academic researchers have been working on the ultimate Virtual Reality dream for a while, it seems Oculus Rift were moving full steam ahead of the game. A colleague at UCL, Will Steptoe, has been experimenting with overlaying webcams on the Oculus goggles to enable virtual and video spaces to fuse into one, in order to create a truly immersive augmented reality experience. In doing so, he hopes to blur the lines between what is real and what is virtual. It looks pretty cool and not surprising he is in big demand. But could an immersive Facebook truly enhance our experience of how we interact and communicate with people remotely? 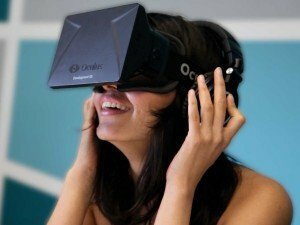 How many of us would don a pair of VR goggles, 10 or more times a day (the average number of times someone looks at Facebook on their mobile each day is 14) in order to teleport to a friend’s party, go for a walk in the park, or just hang out, without ever leaving their living room? While there have been numerous attempts over the last 30 years to create such virtual social spaces, notably Second Life, the Oculus Rift may just have that specialness that will make it happen – provided it can overcome the perennial problems of lag and motion sickness. But it could still be too soon for most of us to contemplate. 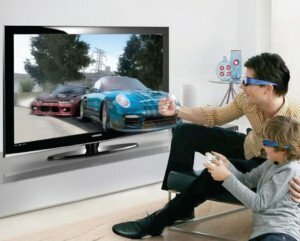 Remember the hype for 3D TV a few years back. Lots of people excitedly bought them but then stopped watching them quite soon afterwards. According to a recent survey 8 out of 10 regret having bought one. Eyestrain, headaches and discomfort are common complaints. Having to share the limited set of glasses that came in the box with everyone in the family plus friends has proven to be one step too far. Many other problems, too, have been discussed by Ted Kritsonis. One wonders if Facebook might have bitten off more than it can chew. But at least they will have secured another sizeable chunk of hot talent. 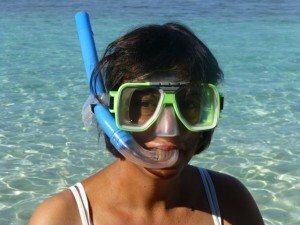 In my view, nothing beats seeing amazing fish and coral in the real sea, wearing only a good old fashioned snorkelling mask. Yet.